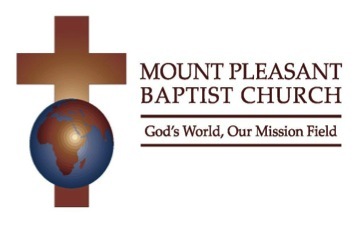 Mount Pleasant Baptist Church has many upcoming events for members and friends. 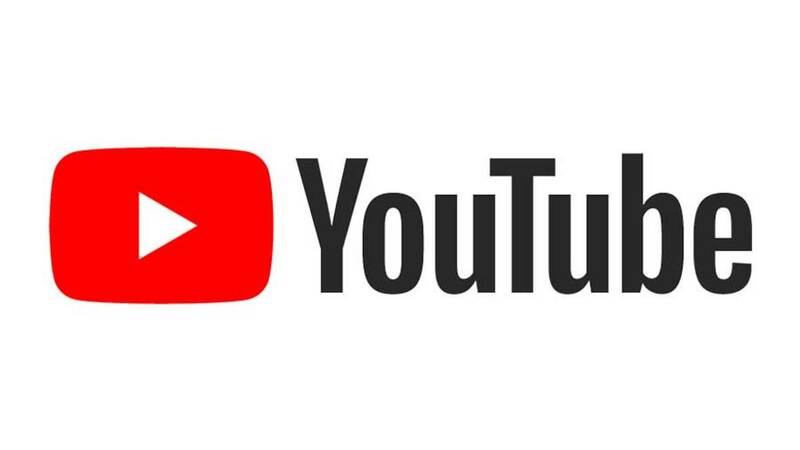 If you would like to be a part of what's happening at Mount Pleasant, please refer to this page to discover more about the services, events, meetings and other church related activities. Music & Arts Ministry ~ Men Needed!! Men of Mt. Pleasant. This message is for YOU! In celebration of Mother’s Day, the music ministrywill be forming a MASS men’s choir and WE NEED YOU! 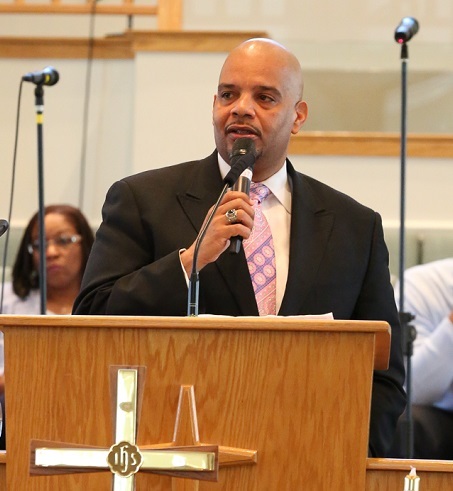 The MASS men’s choir will minister on Mother’s Day during the 8:30am and 10:30am worship services. Rehearsals will take place onMonday, May 6th and Thursday, May 9th @7:00pm. Please consider coming out and participating as we celebrate and honor our Queens! Women of MPBC!! Are you over feeling “stuck”? Stuck in trying to seem perfect Stuck in sadness,stuck in feeling numb. Stuck in pursuing more stuff to make you happy; done with fake smiling, per- petrating and fronting. Frankly, are you ready to get over the side effects of YOU? Have you beentrying to fix this feeling with everything but...God? My Sister’s Keeper will be continuing with theirmonthly bible study and encouragement series—called the “Sisters’ Circle”. Every third Tuesday Night at 7pm in the Fellowship Hall, the book by Jeannie Allen called, “Stuck” will be discussed. The being of "Stuck" is a journey to take an honest look at the fight going on inside, leading us to the God who has a plan to restore it, to restore us. The lessons in this study guide are simple and interactive, offering projects, stories, and Bible study to dig into Scripture, to deeply engage themind and heart. The monthly Sisters’ Circle will be facilitated under the powerhouse and dynamicdirection of Rev. Felicia Hawkins. So, women of all ages come out on and shame the devil; be-cause real queens fix each other’s crowns. We know that when women support and empower each other incredible things happen. #WeBuildHere! All Online Giving functions will continue to be secure and will operate as normal. 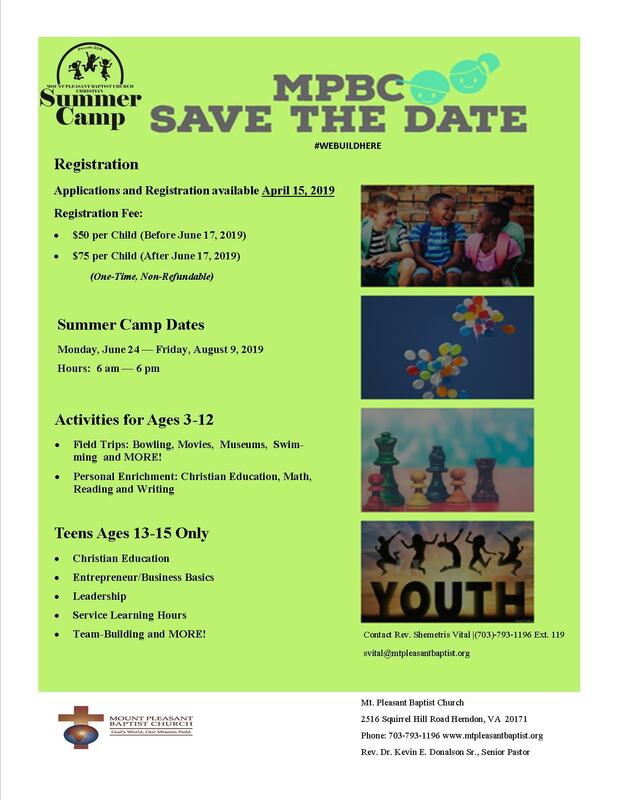 Now that we have transitioned, if you have any questions please contact Rochelle Ford 703-793- 1196 ext. 111, Ross Simms 571-235-3965, or Deacon Willie Hassell 703-517-7458. Click here for FAQs and answers regarding our move from The City to Realm. B.O.B.I.Y. Ministries and With Love, LLC have joined together to bring you an awesome experi- ence and production called “Incredible God” with a cast you will never forget and conversations that will change lives! This event is ONE NIGHT ONLY on April 20, 2019 at the Tally Ho Theatre in Leesburg, VA. Show times are 2:00pm and 6:00pm. General Admission Tickets are ONLY $15 and VIP is $25, so get yours today by visiting www.withlovellc.net. For more information or questions, see Rev. Felicia Hawkins or Sis. Michele Glover. Education Ministry ~ 2019 Scholarship Applications are Here Now! ATTENTION ALL HIGH SCHOOL GRADUATES WHO ARE MEMBERS OF MPBC, the MPBC Scholarship Application is now on the REALM. Completed applications must be received by Sunday, May 5, 2019. If you have any questions, please contact Deaconess Mary Todd at 703-830-0947 or at mejtodd@verizon.net. Flyers located in the vestibule for more information and application process. Numbered tithes envelopes are available (in the toddlers room in the back of the sanctuary) for members who provide their contributions by cash or check. If you do not see your numbered tithes envelope and need new ones, please contact Rochelle Ford at rford@mtpleasantbaptist.org or 703-793-1196 ext. 111 and provide your name. Numbered Tithes envelopes will be ordered the first week of May and usually take about 1 month to arrive. New Members Orientation is scheduled on every 2nd & 4th Saturday of every month. Please contact the Education Office on Ext 118, if you plan to attend. All Mount Pleasant Baptist Church events are subject to recording by still picture as well as video/audio means. By attending Mount Pleasant events you consent to the capturing and reproduction of your image and voice and the respectful reproduction of your likeness by Mount Pleasant Baptist Church in whatever form of medium the Church deems appropriate. This material is likely to be viewed by the public. Please join us every Wednesday morning at 7:00am (10-15 mins) for prayer. If you would like to participate in the prayer call, please dial 1-712 -770-4160; and enter the participate code: 144097. 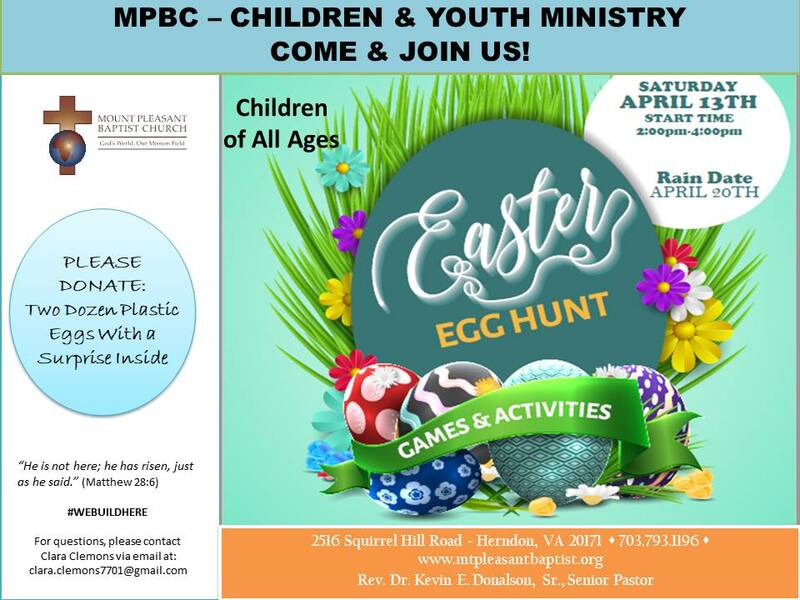 See what is going on at Mount Pleasant Baptist Church. View Ministry Announcements, Ministry Activities, Diaconate Ministry/Care Groups, Ministers and Staff, and more. Simply click below and view or print out the pdf form (11x17).